We treat your hearing like the treasure it is! Tinnitus, while perceived in the ear, actually occurs in the brain. When the delicate hair cells inside the cochlea are damaged or over–stimulated, the result is tinnitus. To date, there is no cure for this condition. The number of people affected is growing fast and statistics show that one in five people suffer from tinnitus. Tinnitus is also the leading "souvenir" that veterans retain from service. Although tinnitus is often described as ‘ringing in the ears’, the variety of sounds and combinations that people perceive are as widespread as the condition. The onset and cause is as varied as the sounds people hear. 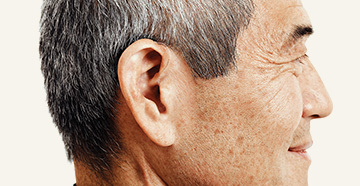 Regardless of how it began and what it sounds like, tinnitus can range from a bothersome condition to a debilitating one, impacting not only the day–to–day lives of the individuals affected, but their families and loved ones as well. This is where the Levo System comes in. Through a series of interactive activities, the precise sound of your tinnitus will be identified, giving you the means to understand and demonstrate to others the sound you live with. Your unique sound is then used to create an individualized therapy for you to use at home while you sleep. User-friendly, patented Levo software on a provided Apple iPod Touch will allow you to listen to your personalized sound match at home. Custom fit ear buds, designed to ensure comfort during sleep, allow for optimal positioning and controlled delivery of sound therapy. Used nightly, you will be able to share your individualized progress and determine needed improvements over time. Utilizing an FDA-cleared neuroscience-based approach, the Levo System is a personal and patented nightly sound therapy designed to improve the quality of your daily life. Through a series of interactive activities, the precise sounds of your tinnitus are identified, giving you the means to understand and demonstrate to others the sound you live with. This sound is unique to you and is used to create an individualized therapy for you to use at home while you sleep. Like 'defragging' a computer’s hard drive, the brain efficiently reorganizes itself while we sleep. Selectively removing the unnecessary bits of information, our brain prioritizes new and stored information to lock in learning and memory. As a result, new neural connections are created, rerouted or reduced to make way for new learning and problem solving activities. By using the Levo System at night, patients leverage the brain's natural ability to diminish the effects of tinnitus over time. 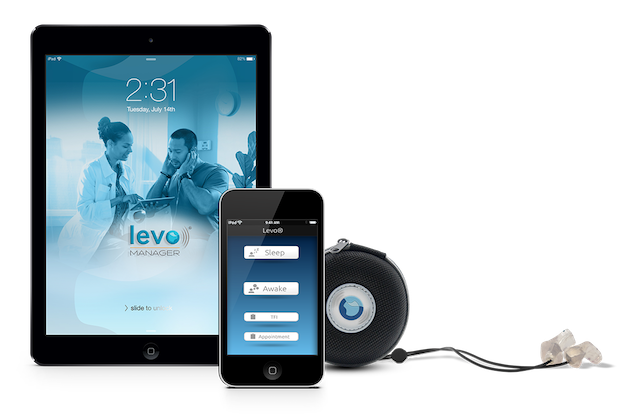 User-friendly Levo software allows patients to listen to their personalized sound match on an Apple iPod touch®. Personalized, custom fit ear buds, designed to ensure comfort during sleep, allow for optimal positioning and controlled delivery of sound therapy. 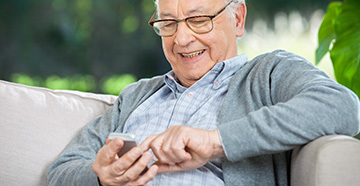 Used nightly, patients can share their individual progress with their hearing professional to determine needed improvements over time. Find our what our hearing professionals can do to treat your hearing loss! Treasure Coast Audiology is dedicated to helping people who suffer from hearing loss and who are seeking to improve their quality of life through better hearing.